The Nikon D5000 is the new "mini DSLR" from Nikon. 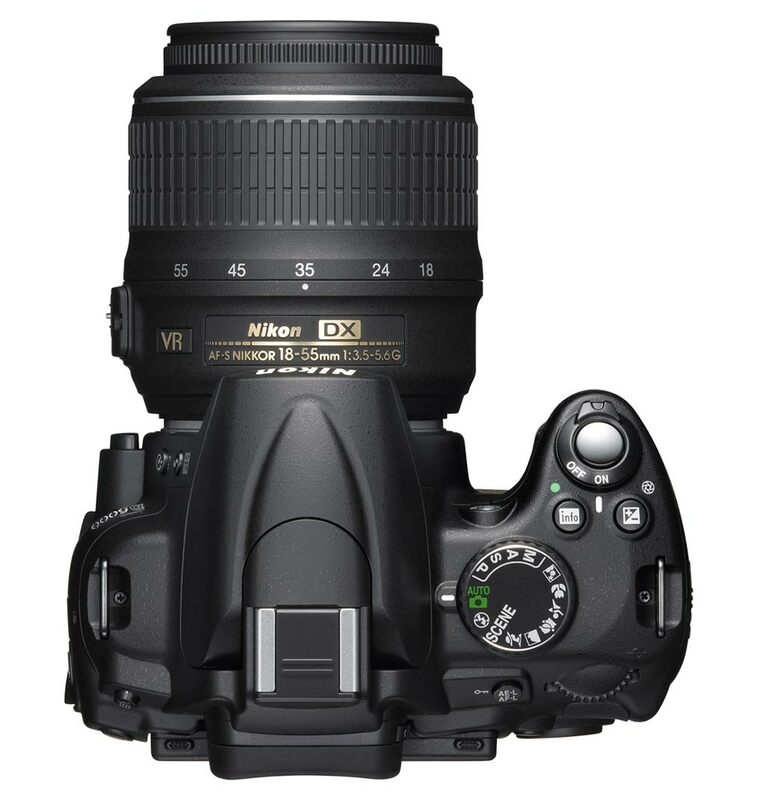 It's aimed directly at beginners to the world of Digital SLR photography and sits neatly between the D90 and D60. Like its recent siblings, it still has no autofocus motor built into the body. This reduces the number of lenses it can use with autofocus, 3D Colour Matrix Metering II and some shooting modes. However, it does have what I think is a very handy tilt and swivel rear LCD screen. Note that irrespective of the lack of autofocus motor, it will still accept most popular lenses. I would check to see if your current arsenal of lenses will work properly before buying though. So on the face of it, and comparing to what were hot releases just a few years ago, the Nikon D5000 stacks up to be almost professional standard in what you can achieve with it. You have enough pixels to warrant this as a handy back up or second shooter for weddings. The images are certainly good enough for portraits and the pixel count is enough for most, if not all stock agencies. Movie capture still falls short of full HD but at 720p, you can be assured of high quality footage. The video aspect is probably where you will see the biggest benefit from the new tilt-swivel rear LCD. Being able to see the screen from virtually any angle will help and definitely encourage photographers to use more daring and normally unreachable angles. Both in their video and stills photography. The fact that you can turn it round to face into the camera will help to protect the screen from any bumps and knocks. Even if you do not use this feature much. In reports I have read the minor fall backs are things such as noise and breakdowns of tonal gradations. These started to become apparent at ISO 1600 and above although high ISO performance is overall very good. Also, the camera is very compact and will not take a battery grip. Therefore, if you have large hands, I would definitely recommend trying one in a store before buying online. The image quality of the Nikon D5000 has been compared to that of the D300. At the end of the day, image quality is what matters. This camera certainly has its shortcomings but if it was released 10, or even 5 years ago, the feature set it has would have blown the competition away and had people drooling over it. As an entry level camera I would say it is excellent and well worth a look. the size could be a problem but in many respects, its discreetness could also be a benefit. For a more in depth review of all of its features, check out DPReview.